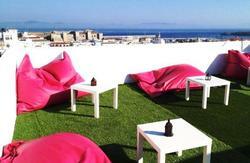 The Melting Pot hostel is located in the centre of Tarifa. The town centre is the entertainment district: there are many typical restaurants, traditional bars and pubs close to the hostel. 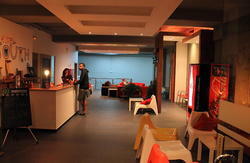 It is also where the fashion, kitesurf, and windsurf stores are located. The characteristic narrow streets of the old town, surrounded by the historic city walls, will remind you that we are only 14 kilometres from Morocco. 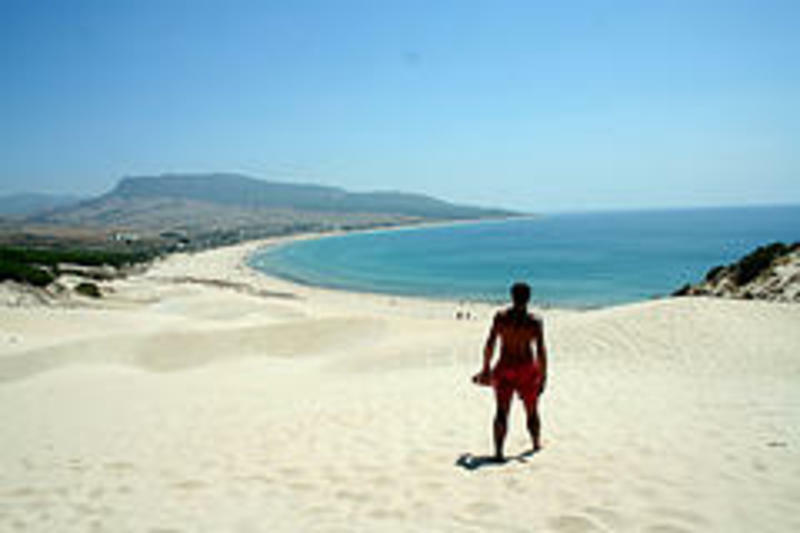 The famous and beautiful Tarifa beach, with its views on Africa, its white sand dunes and turquoise waters, are just a few meters away from the hostel. A true wonder! We have completely renovated a typical Andalusian chalet, to make it more practical and comfortable for the travellers: a large fully equipped kitchen, computers for guests' use, WI-FI throughout the place, three beautiful terraces where you can chill out or sunbath, and a very large living room. We have a safe place where you can keep your bags on the check-out day. Breakfast and sheets are included in the price. Our dorms, with 4, 5, 6, or 8 beds, are spacious, and we also have twins and doubles for the travellers who prefer more privacy. The beds are all new and comfortable, and each guest has its own individual security locker. We also have hair dryers and reading lights, in case you need them. Cleanliness is a very important issue for us. We collaborate with various companies in town, in order to get our guests the best prices for activities like kite surfing, windsurfing, scuba diving, mountain excursions, horse riding and parachuting. In addition to Spanish our staff speaks various languages, some better than others; we can help you in English, French, and Italian. You'll find a member of our staff 24 hours a day for any need you may have. 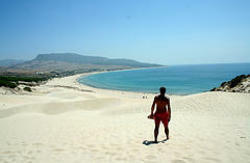 See you soon in Tarifa! From the main bus terminal, walk towards the centre along Calle Batalla Del Salado (about 5 minutes walk). At the traffic light, turn right into Avenida de Andalucia, then take your first left into Avenida de la Constitucion, and finally take the first right into Calle Turriano Gracil. There is not street sign, but you can see an orange building at the corner. We are at number 5. If you are coming by car you can park for free in our street : Calle Turriano Gracil.